Education | Say the truth loud! The Blueprint reveals the entire plan of salvation “juiced.” Understand the 70 weeks, 1260, 2300 day prophecies, the sanctuary and the plan of salvation, the reformation and the rise of the advent movement, and its mission like never before! All in under 90 minutes. 24″ X 36″ GIANT STUDY GUIDE POSTER/MAP The Blueprint Map is an interactive bible study based on the sanctuary message. This foldout map covers the sanctuary, 70 week, 1260 and 2300 day time prophecies. It covers the the work of antichrist in casting down the heavenly sanctuary and reveals the stirring account of how these sanctuary truths would be restored. The map also covers the rebellion as it unfolded in heaven, the three angel’s messages, and more. With this tool, you can give the entire great controversy in one sitting. 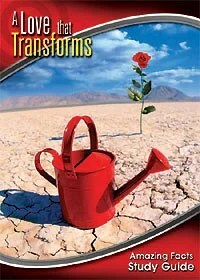 $19.95 at http://www.PoweroftheLamb.com ENJOY! The more time you spend on the internet and social media, the more likely you are to suffer from mental health issues, according to researchers at McMaster University. The link between internet addiction and mental health issues is stronger than previously thought, researchers say, as more and more people are unable to cope with everyday life without having an online fix. The study surveyed 254 students at the university in Hamilton using the Internet Addiction Test (IAT), which was created in 1998, as well as a newer scale of the researcher’s own design. Those who screened positive on the IAT as well as on the researcher’s scale had more trouble dealing with their day-to-day activities including life at home, work, school and social settings, says chief researcher Michael Van Ameringen at McMaster University to Science Daily. Of those surveyed, 33 of them met the criteria for internet addiction and 107 for problematic internet use. The study also found that 56 per cent of university students had a difficult time controlling their use of video streaming websites, 48 per cent couldn’t control their use of social media and 29 per cent had trouble staying away from instant messaging. As well, 42 per cent were facing mental health problems as a result of their over-use of the internet. These findings, Van Ameringen says, could help medical professionals and how they approach patients with internet dependency. Internet addiction has not been formally recognized by the American Psychiatric Association’s DSM-5 as a diagnosable condition, citing more research is needed. Jesus wants to know you he wants a relationship with you take the time to read and study God’s word and he will give peace. God wants you to be temperate in all things. Liberals champion distribution of free condoms in high schools to prevent pregnancy and sexually transmitted disease. But distribution of free condoms seems to be related to a significant increase in these things. Though liberals tried to explain away these findings from a recent study, the facts remain. Why not just follow the principles of God’s law? Liberals do not want to acknowledge that God’s way is the best way and will go to any lengths to do away with it. “Mortify therefore your members which are upon the earth; fornication, uncleanness, inordinate affection, evil concupiscence, and covetousness, which is idolatry…” Colossians 3:5. “God will cleanse the earth from it moral corruption, not by a sea of water as in Noah’s day, but by a sea of fire that cannot be quenched by any human devising.” Christ’s Object Lessons, page 179. Bakeries in Tonga will soon no longer be able to open on Sundays after the government sided with churches. Technically, they’ve never been allowed to open because the constitution makes clear that Sundays are off limits for commercial business: “The Sabbath Day shall be kept holy in Tonga and no person shall practise his trade or profession or conduct any commercial undertaking on the Sabbath Day,” it reads. But that’s been rarely observed since a cyclone in 1982 when bakeries opened to provide emergency food. Church leaders finally had enough this year and called on the Tongan government to restore Sundays to a sacred day. And that’s exactly what will happen from July 3. Local bakeries, which had been pushing for a public vote on the issue, say the decision will lead to job losses. The government has exempted restaurants from the ban, saying tourists expect to be able to buy food on a Sunday.